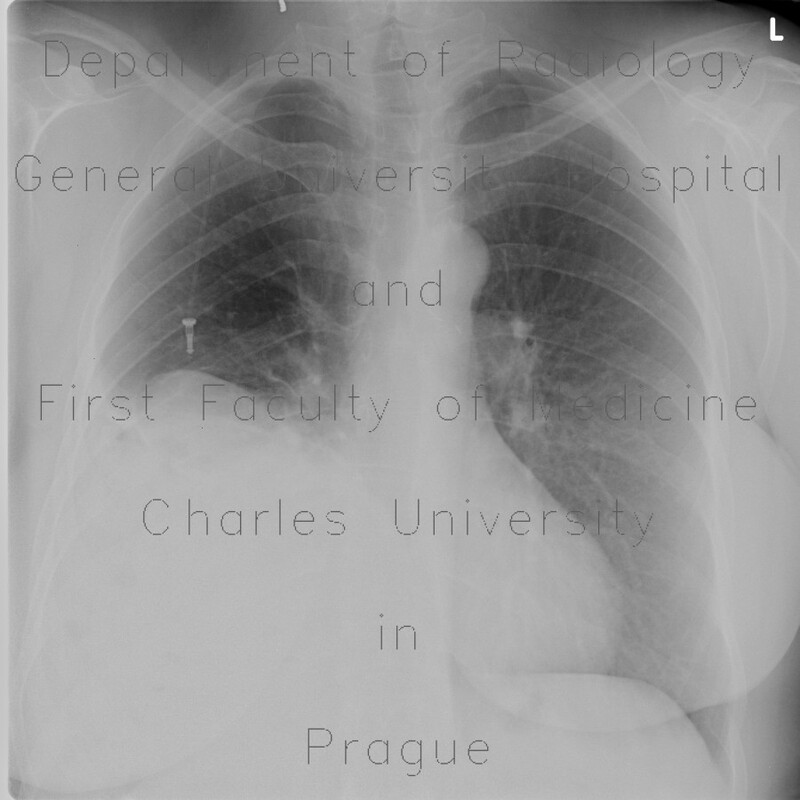 Plain chest radiographs shows marked elevation of the left hemidiaphragm. CT shows, that it is caused by a right-sided diaphragmatic hernia which contains right liver lobe, gallbladder with gallstones, and large bowel. It causes compressive changes of the right lowe lung lobe. This hernia was treated surgically with a good result which can be appreciated on the last two CT images.